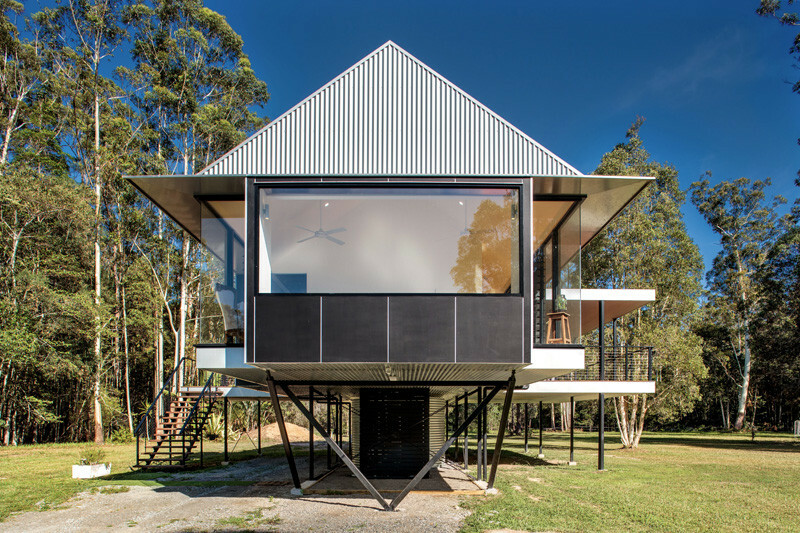 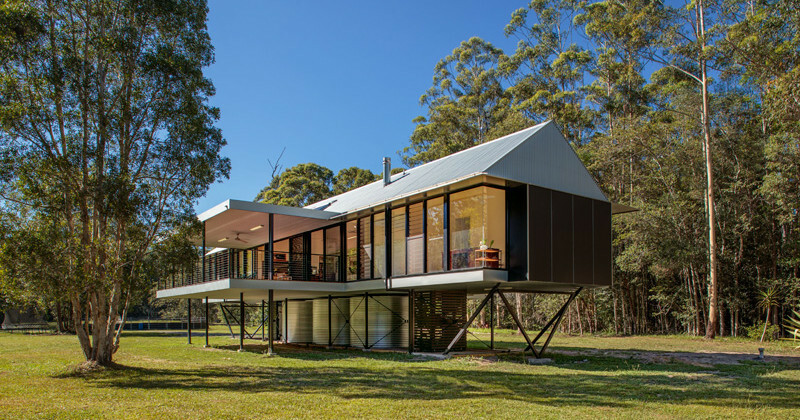 Robinson Architects have designed the Platypus Bend House, a home in Pomona, Australia, that has been raised off the ground to avoid the flooding that the area occasionally experiences. 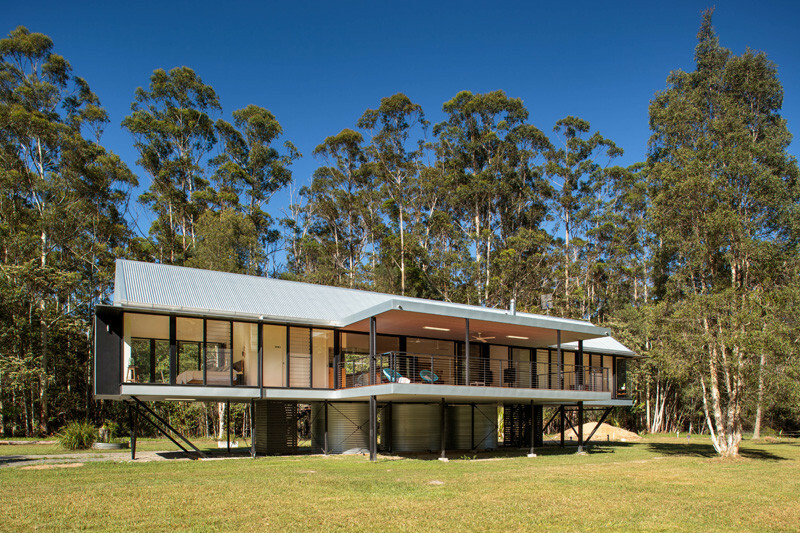 The house is located on a 35 acre site, in a clearing the size of a football field, and prone to occasional but significant flooding during seasonal tropical downpours. 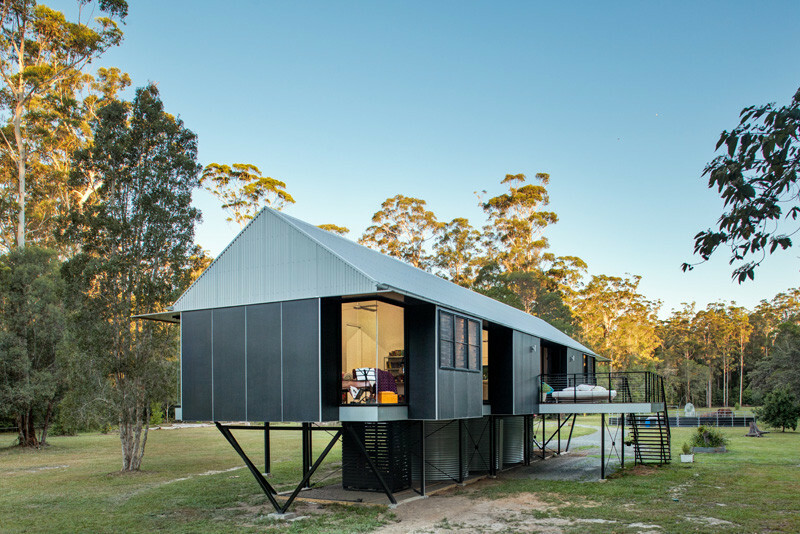 By being raised off the ground, it allows the fully self-sufficient home to house the rainwater tanks in the space underneath it. 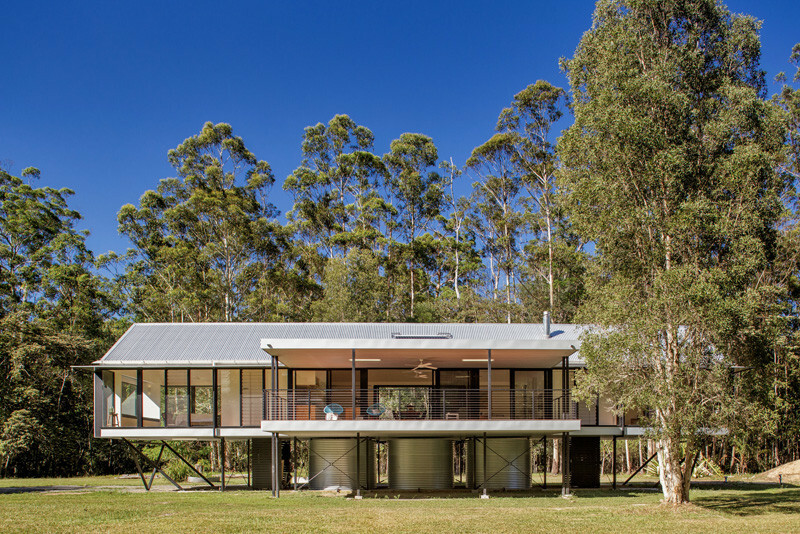 The home’s self-sustaining water is collected in rainwater tanks, there is solar hot water, and an on site waste water treatment system. 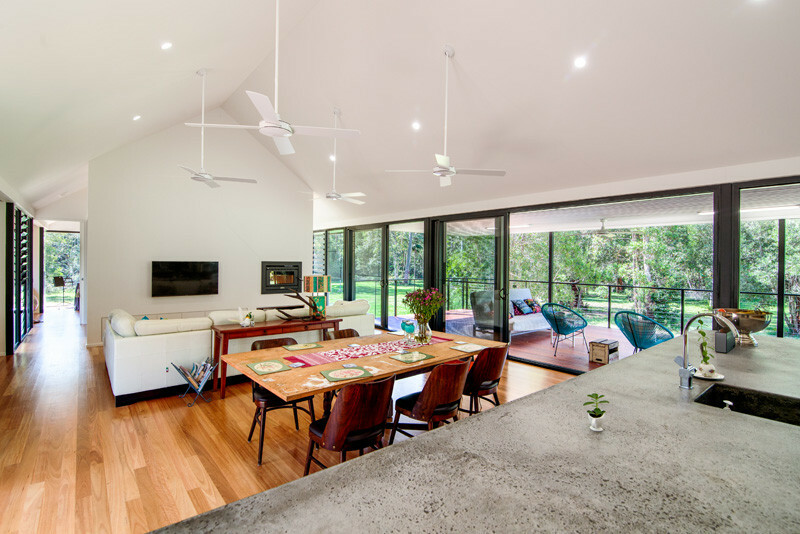 Inside the home, the living areas have been kept open with a vaulted ceiling, which helps with keeping the home cool. 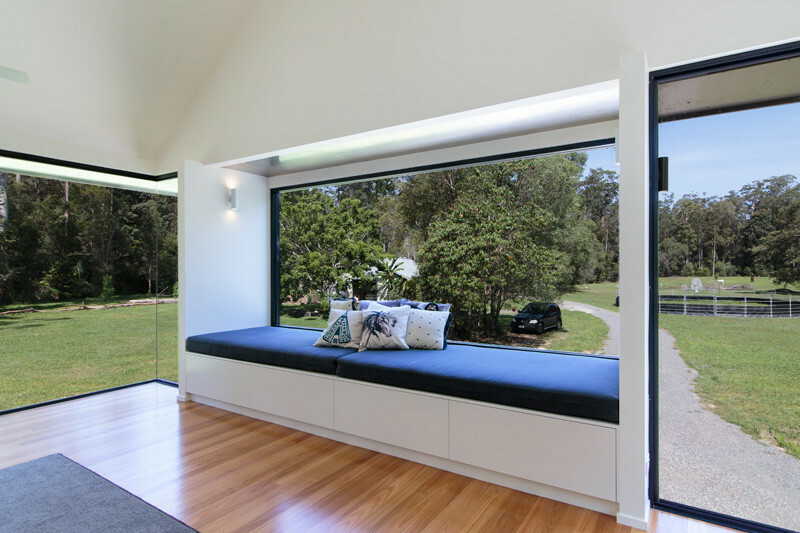 There is a large window seat, which is perfect for viewing the surrounding nature from the elevated perspective.